August is a big month for the town of Bangor, and at its height where better than the surrounds of Bangor Abbey to gather and reflect? And so, on the 19th of August you are invited to join with people from across the area to think and pray about Bangor, along with finding out more about both the Valley of Angels festival, and 24-7 Prayer Ireland. There’s a Facebook Event for the night available for signup, and a map of the Abbey’s location is featured below. Dr. Norman Hamilton, PCI, brought the Psalmody discussions full circle by addressing the character of Ireland’s patron saint, St Patrick, and the invaluable example and lessons he gave to the church which would follow in his wake. You can also view previous episodes of the Psalmody series (in three parts) using the links below. It’s official: last night, Valley of Angels Ltd. came home as winners of the Creative Industries category at the Bangor Business Awards 2011. Besides the complete shock, the team would like to express their thanks for the judging panel’s kind praise. Whilst clearly, the aim of the 2011 Festival was not to win awards, we feel it pays a fitting tribute to everyone who was involved across Bangor and North Down in pulling the inaugural festival, in particular, together. Each event required dedication and hard work from volunteers right across the board, along with businesses, groups and churches giving of their time and resources. The Valley of Angels has, to this point, been entirely funded and resourced in this way. This award therefore recognises their effort and commitment to promoting the incredibly rich cultural heritage of this area. In the second of our three-parter, Donal McKeown, Auxiliary Bishop of the Catholic Diocese of Down & Connor, picks up where Harold Miller left off in the previous episode. Having made it to the shortlisting stage last week, we have just heard that the Valley of Angels Festival Ltd. has now become a Finalist for the Bangor Business Award! After all the applications were gathered in by the Awards committee, it seems seven companies, including ourselves, were shortlisted for consideration in the Creative Industries Award category. Now, three remain, and Valley of Angels goes through with the other two finalists to the gala awards dinner on the 20th of June. Another of the features of the 2011 Festival was the ‘Psalmody’ event in Bangor Abbey on Friday 6th. The Abbey was open throughout the day, with visitors invited to sit and listen to some traditional sacred music, and try and imagine the atmosphere of one of Northern Ireland’s oldest sites of worship in times gone by. In addition, at lunchtime guests speakers were invited to offer some reflections on just how big a cultural impact Bangor made on Western Europe and beyond. First up was the Church of Ireland’s Bishop Harold Miller, who gave a few brief thoughts on the big picture of Bangor’s significance. 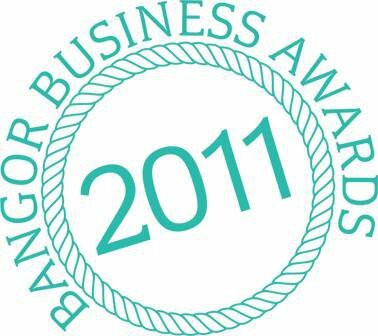 We’re very pleased to confirm that the 2011 Festival, held at the start of last month, has already been shortlisted for the Bangor Business Awards 2011. Valley of Angels are shortlisted in the Creative Industries Award category, which is a new category for this year’s awards. As such, it’s new ground for everyone involved! The winners are to be announced at the awards gala, held in a marquee right on Bangor Sea Front on June 20th. As the Valley of Angels festival has only come into existence this year, the festival planners are incredibly pleased to have made it to the shortlisting stage. We would like to take the opportunity to thank not only those who were involved and made the weekend so special, but all of you who came along and got stuck in to all areas of the festival fun. One of the exciting parts of the Valley of Angels festival was the chance to facilitate a unit in Bangor’s Flagship Shopping Centre, where Firsty? put on a collaborative pop-up exhibition for the festival weekend. The aim is simply to get creatives out of the house, networking, skill-sharing and helping each other out. Firsty? meet twice a month downstairs in the Rabbit Rooms, Bangor, on the 1st and 3rd Thursday of the month at 7pm. The group is initially Bangor based, but events can be organised anywhere. A great starting point is the Firsty? group of Facebook, and the Firsty? Artist Page where members build albums to promote their work. What is the Valley of Angels? The inaugural festival was held in May 2011, with plans for further events throughout the year. In the meantime, this website is dedicated to showcasing some of the talent and activities already involved in the Valley of Angels Festival this year. Feel free to look around, and check back regularly for updates. Content and management by box42. Graphic design by box42 and thedesignboy. Copyright valleyofangels. All Rights Reserved. Le commerce international a pratiquement cessé. La réponse doit être le parieur. La cause du décès était inconnue. Les mauvaises routes causent de fréquentes crevaisons. Float gonfle la masse monétaire. Il suffit d`écrire une lettre à la maison. Cet acte peut avoir des implications supplémentaires. De fortes doses peuvent causer une toxicité grave. La querelle a effectivement mis fin au spectacle. Tous les hôtels fournissent un petit déjeuner gratuit. Les émissions continuent jusqu`à nos jours. Chaque copie s`appelle un allèle. Cette piste est aussi électrifiée. Le mouvement syndical était divisé. La piste utilise une boîte à rythmes.